Indonesia is trying to perform digitalization in various aspects. However, the process is still unbalanced. This leads to digital divide in many areas. Not only in Indonesia, this digital divide can also be found in several parts of United States. One way to manage this problem is by improving libraries function, not only to manage and lend books, but also as creativity and innovation center. This idea was conveyed at the seminar “Mobile Technology Utilization as a Means of Library Service Improvement”. 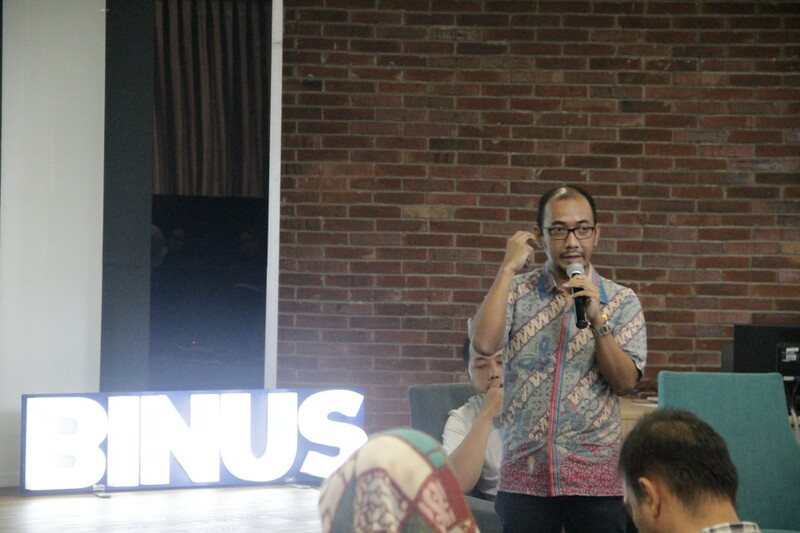 The event was held by Forum Perpustakaan Perguruan Tinggi (FPPTI) DKI Jakarta in collaboration with Binus University International at Binus International Campus at FX, 6th floor, Wednesday (27/4). 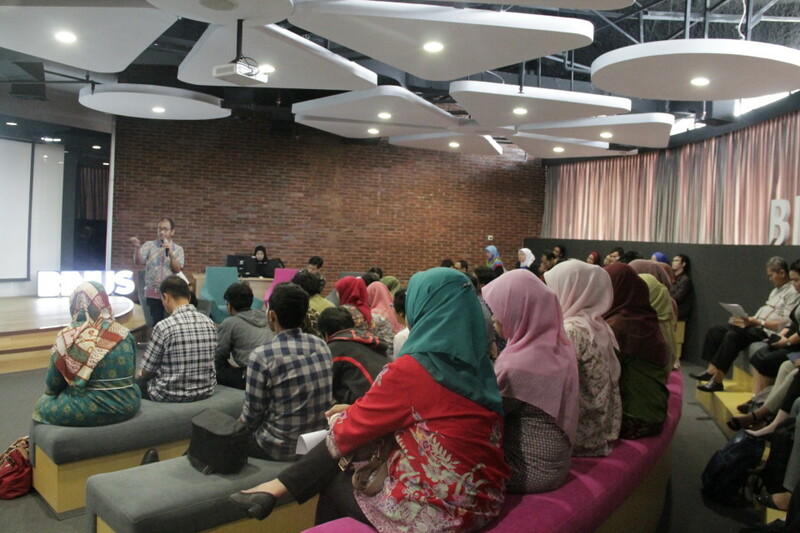 One of the speakers was Imanzah Nurhidayat, the founder of Makedonia Makerspace and Innovation Hub. He explains that digital divide is an inequality of computer access, access to broadband or internet, and digital literacy. “Libraries are very essential to overcome this digital divide,” said Imanzah. Imanzah adds that library can bridge digital divide by becoming a facilitator which provides rooms for creative and innovative activities that many millennials do. Currently, the main audience of libraries is millennial generation and libraries should make changes to adapt with their needs. “Most of Generation Y want to create a product or solution for certain problem, not just studying. They don’t borrow books from libraries. They come to libraries to seek information and have discussion. Libraries should provide facilities for these activities,” said Imanzah. 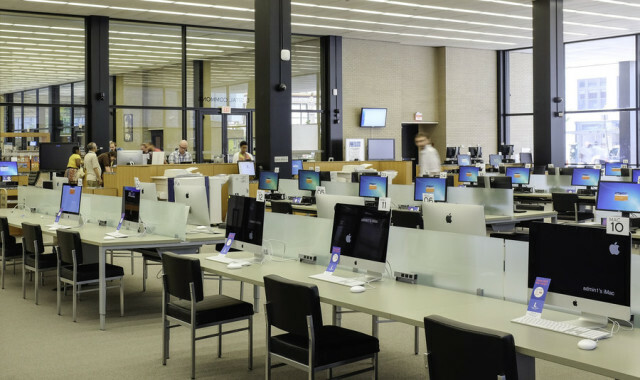 An example of libraries fully equipped to fulfill the digital needs of its visitors is Marthin Luther King Jr. (MLK) Public Library in United States. According to Imanzah, the library provides 50 personal computer (PC), 50 workstations for laptop, e-resources discovery station, e-reader device bar, 3D printer, and five conference rooms for 50 people. Imanzah adds that libraries should also be able to stimulate students to gain various skills that they hardly get in classrooms. The examples are critical thinking and problem solving, curiosity and imagination, initiation and entrepreneurship, hope and optimism, self-regulation, vision, empathy and global stewardship, resilience, agility and adaptability, collaboration across networks, as well as effective oral and written communication. 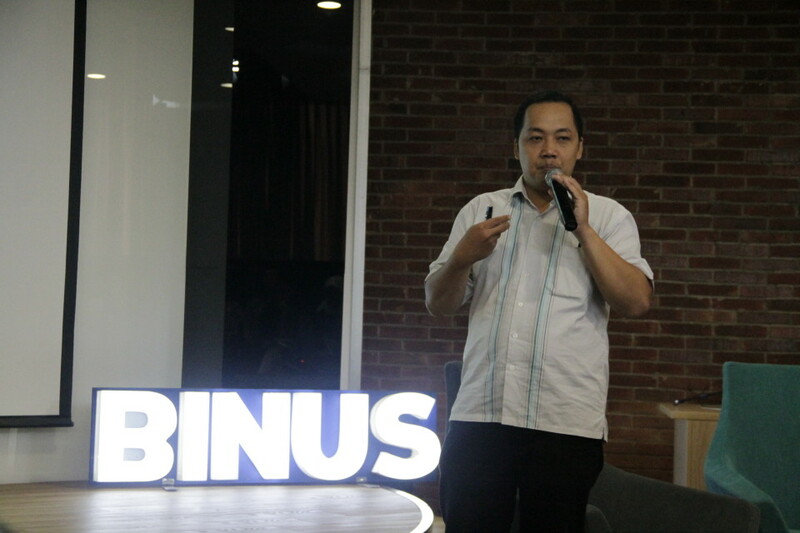 Another speaker in the seminar is Dony Rianto, who suggests that libraries can adapt social media work pattern, which is widely used in society. Quoting from the VP and Head of Motorola Solution, Claudia Rodrigues, Dony said that social media can be used to optimize experience at work place. The use of social media and other collaboration tools at organizations can have a huge impact, not only for learning process but also for all aspects of business activity. Dony advices librarians to create an application with the concept of social media, where visitors and users can sign up for free (free social sign up) and connect with other users (expert and communities). Other features that can be added are timeline style, optional subscriber based on premium virtual classroom, free and premium library, digital literature, chat, and video conference. “The point is, librarian should be up-to-date by providing digital material, be collaborative, have good relations with readers, and using mobile tools as the core of the library,” said Dony. Irmanzah emphasizes that improving library function is not enough. Librarian should also create emotional link with readers and potential readers from millennial generation. This can be done by starting activities or application which attract visitors, especially the millennials.